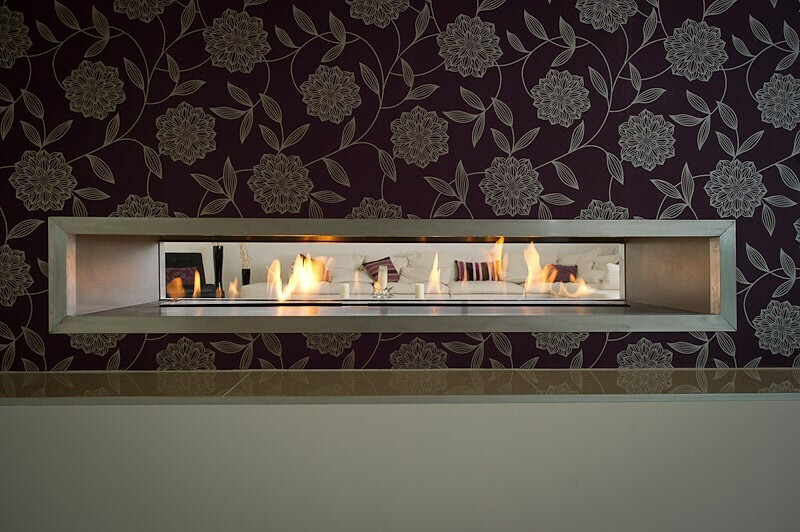 The Double Sided FIRE WAVE creates a stunning fireplace feature with a large opening of 1500mm x 265mm and can be used to divide two rooms or a living space. Supplied as a complete package of ribbon burner, remote system, enclosure and gather. There are multiple options for finishes and optional extras. Bespoke versions are also possible upon request. As installed in Fairmont Hotel, Abu Dhabi. 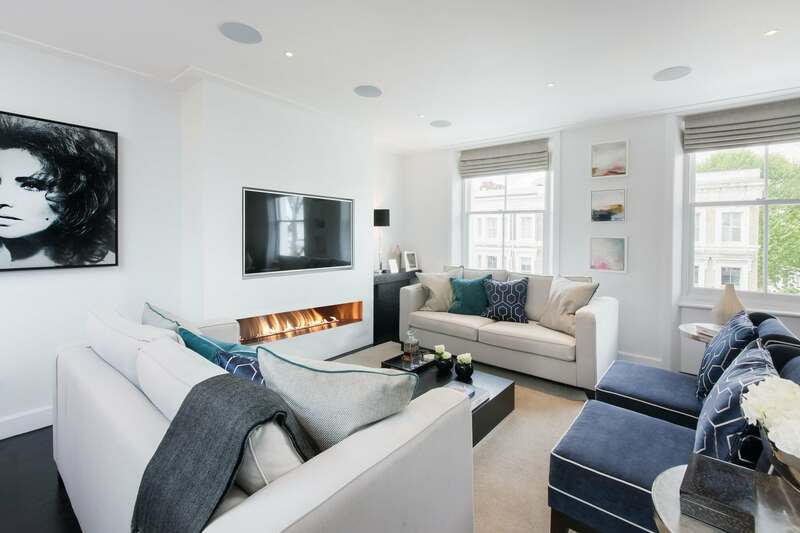 The FIRE WAVE Double Sided Ribbon Gas Fire creates a stunning fireplace feature with a large opening of 1500mm x 265mm and can be used to divide two rooms or a living space. Supplied as a complete package of ribbon burner, remote system, enclosure and gather. There are multiple options for finishes and optional extras. Bespoke versions are also possible upon request. As installed in Fairmont Hotel, Abu Dhabi. 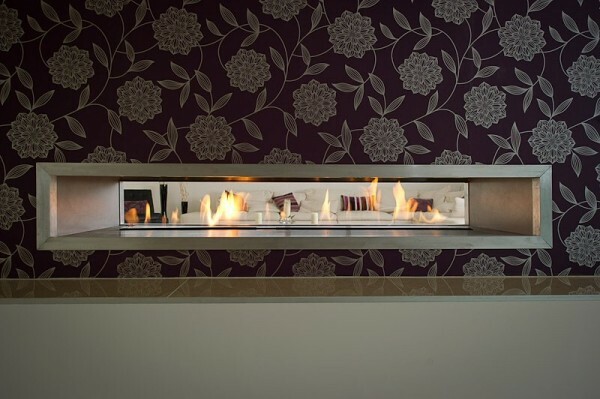 A version of this fire is installed in the Double Tree Hilton London and the Fairmont Hotel in Abu Dhabi. Normally installed as frameless hole in the wall fire design however there is an option to fit a metal or stone trim if required. 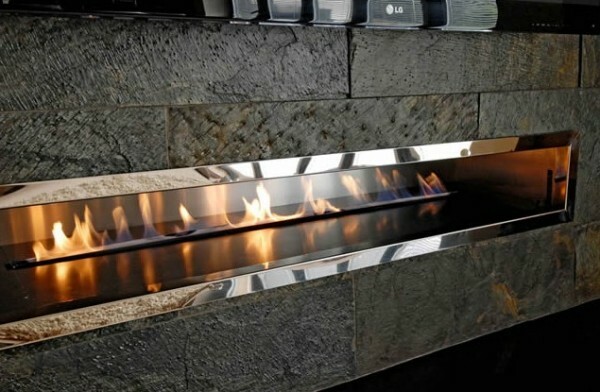 This is a very sleek and modern style fireplace. The 11kw burner is operated by battery remote making it easy to install with only a gas connection required. The remote is fully sequential and is operated by a remote handset that controls the flame on/off and flame up/down. 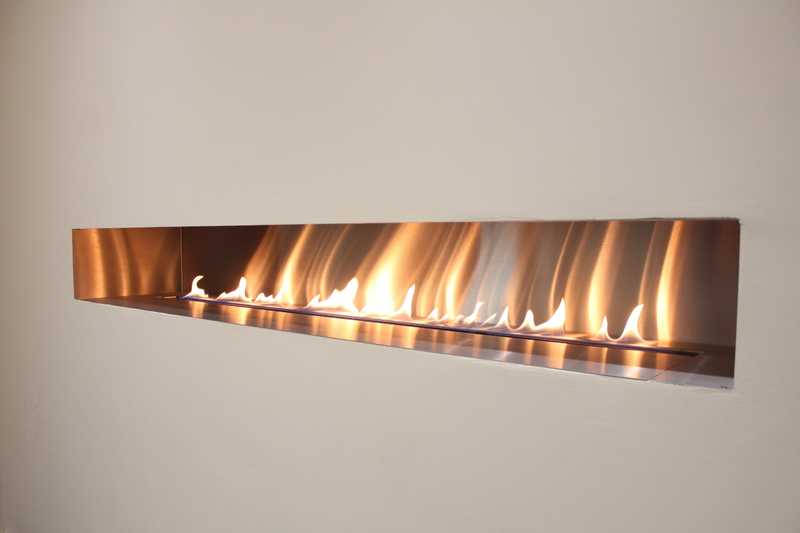 The Fire Wave is available for either natural gas or lpg and has European wide CE approval. All CVO products are hand made in the UK using locally purchased materials. 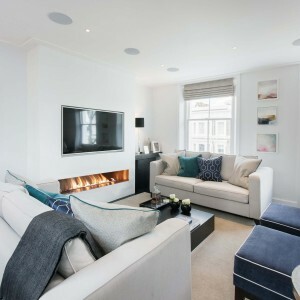 As this is a double sided fireplace with opening on both sides special attention must be taken for the flue requirements and burner ventilation. Please read the attached specification sheets and if in any doubt please call us to discuss. 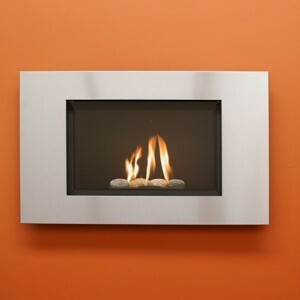 REMOTE : The fire has a thermostatic remote control which will adjust the flame to maintain room temperature. GATHER : Our fireplace includes a gather with a 200mm spigot. This ensures the maximum efficiency and flame quality. 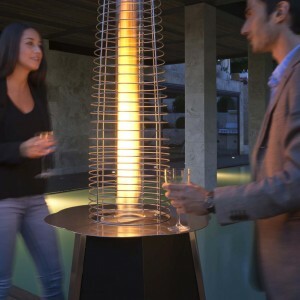 STYLE : The FireWave has been installed in homes, bars, restaurants and hotels in the UK, USA and Australia. OPTIONS : There are multiple versions with various finishes, ceramics and trims available including double sided versions. 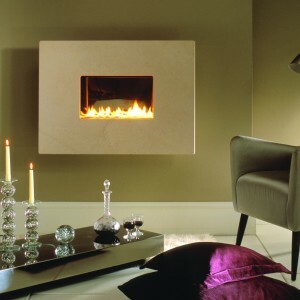 MADE IN THE UK : This fireplace is handmade in the UK using locally sourced materials, given over 40 tests before shipping. Enclosure: Frameless Brushed, Polished or Black Steel. Ceramics : Black interior also has option to add Logs or Pebbles. Fascia Trim: Brushed Stainless Steel trim available, we can also supply a glass panel with trim for one side to reduce the flue requirements. Gather: The gather is supplied with the fire and must be used. The gather has a 250mm spigot. Power Supply: The fire is operated by 5 x AA batteries. FIRE WAVE® is a registered Trademark.